SentrySafe offers a great way of protecting your valuable items and is one of the most sought after safe in the market. The brand is popular for its security features and quality design. SentrySafe was introduced into the market by Sentry Company in the 1930s. The company specializes in fire-resistant chests, filling cabinets, gun safes as well as storage containers. Sentry brands are now available in various parts of the world including Canada, Japan, China, and United Kingdom, among other parts of the world. 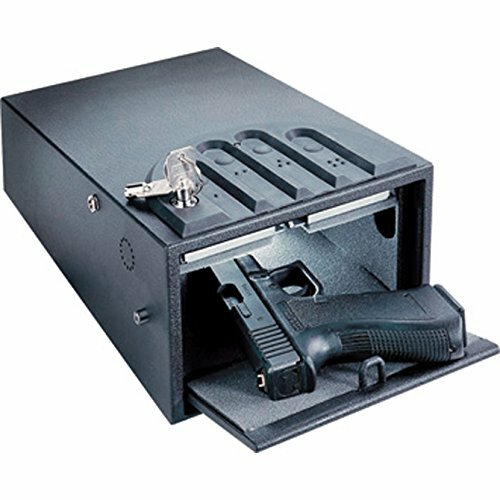 The brand offers high quality gun safes with world class protection and security. 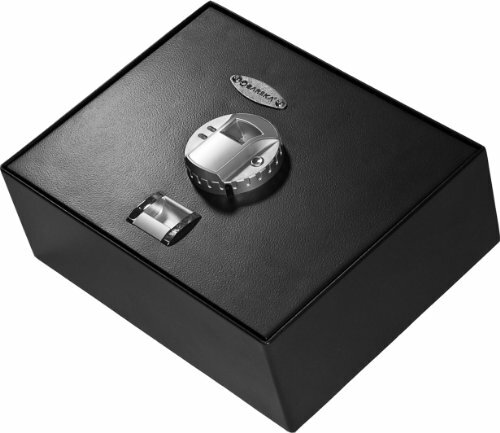 Sentry Company was the first company to introduce fire resistant safes into the market. The company made the first fire-resistant safe in 1955. But since then, they have taken the leap forward and now the brand produces high quality safe with optimized protection. Sentry safes stand out among the rest on the market in quality. Their safes are tested against different rigorous stands that work to ensure that customer receives high safety, durability, and dependability in the products. Most valuable items such as guns, jewelry, and valuable documents require a lot of protections. Some items like birth certificates memorabilia, social security card, and other important documents require a lot of protections against theft and various forms of damage. SentrySafe gun safes are designed to protect valuable items that may not be able to withstand various forms of damages such as fire or flood. Have a look at the SentrySafe reviews below and see if you can find a gun safe that suits your demands. The X055 is an extremely well-built product, with steel construction to ensure reliability and durability. To boost the safety even more, there are thick steel bolts included that enable you to bolt down the safe, so thieves cannot carry or remove the box once mounted. The safe measures 8.5h x 13.6w x 8.6d on the inside, and 8.7h x 13.8w x 10.6d on the outside and weighs 19 pounds. The X055 features carpeted interiors for cushioning the valuables and preventing marks or scratches. One of the best highlights to note is the ‘Electronic Keypad with Override Key.’ The product features an electronic lock, and it requires four “AA” batteries to operate. You can program the safe with 2-8 digit code, and there is a green, a yellow and a red LED light to guide the process. The SentrySafe X055 comes with a 1 year limited warranty. Unlike most security safe products that only prevents theft, the SFW123DSB is also water and fire resistant. The product comes with bolts for locking, and these sturdy bolts are six times bigger than you get with the traditional safes. This unit is ETL approved to resist water above 8” for up to 24 hours. Moreover, it is UL classified to withstand fire exposure for up to 1-hour. The dimensions in inches are 17.8h x 16.3w x 19.3d on the outside, and 13.8h x 12.6w x 11.9d on the inside and weighs 101 pounds. The highlight that makes SentrySafe SFW123DSB different from other comparative products is its water and fire resistance. Underwriters Laboratories (UL) and Edison Testing Laboratories (ETL) certifies 1-hour fire protection, and resistance under 8” of water for 24 hours. Also, the SFW123DSB was subjected to 15 ft drop test, and all the content remained intact. Overall, this product is well-built for providing years of protection and durability. It is extremely easy to operate and customize according to your needs. The SentrySafe team offers a 1 year limited warranty to protect your purchase against any defects. 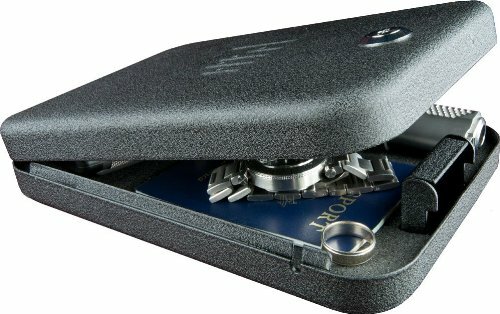 The portable security box from Sentry Safe provides high security for items like keys, passport, handguns, as well as personal electronics. The product has a programmable electronic locking mechanism and state of the art steel security protection. The product comes with a programmable lock with an override key for easy and quick access, a handle for extra flexibility and convenience, along with a double locking capacity for additional security. For the purpose of ensuring that this product can endure fire, theft, and water, each Sentry Safe ESB-3 Electronic Security Box has to undergo serious testing through ETL and UL. Also, various types of Sentry safes differ in price, size and protection levels to cater for customers financial and demand requirements. The safe, has a soft interior lining, to protect the items you carry inside. This Sentry Safe ESB-3 Electronic Security Box feature a double-walled steel construction, making it a durable tool for protecting your things. It even has a smooth, enamel finish that makes it resistant to rust, offering easy maintenance. The safe will bring you the peace of mind you need when it comes to your valuables. Currently, manufacturers are in continuous efforts to ensure that you receive a quality product. Therefore, in case you run into any troubles, SentrySafe offers a 1-year warranty against defects. 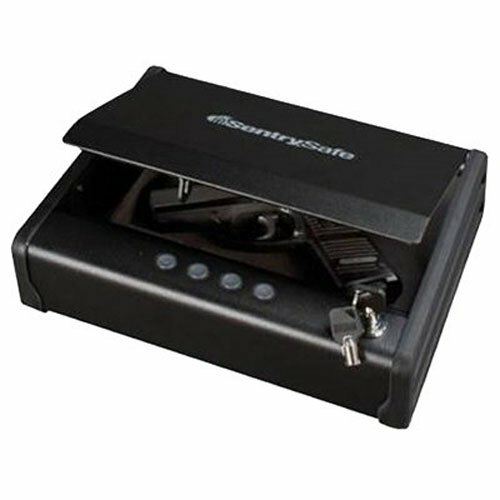 Sentry safe fingerprint security box is a small biometric safe that enables you to put it in tiny places such as a drawer. 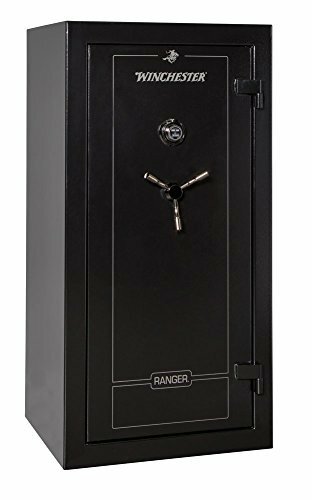 This safe is grouped into the category of high-quality products but at a fraction of the price of its competitors. This unit has a muted opening that contains a pry-resistant top cover, thus allowing easy opening with just one hand. Moreover, it as a single storage for J and K revolvers, as well as full-size semi-automatic handguns. It is a fingerprint closing safe that allows easy and quick access to all the content inside, just by scanning your fingerprints. All that is needed is just one second to allow the metal biometric reader to unlock the safe and securely open the silent lid. 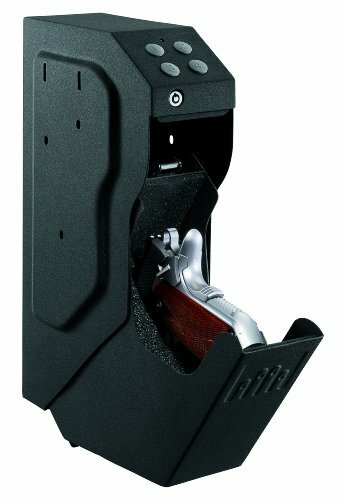 This is a sophisticated technology in the form of a biometric gun case, and without any doubt, it is a permanent solution for anyone who is looking for a gun safe that can provide high safety. It is an innovation that only involves fingerprint scanning, ensuring that the content is safe from unauthorized users. Overall, here we have an extremely safe and convenient gun safe that enables users to encode only two fingerprints. It is extremely well built and offers high-level of security for a very reasonable price. On top of that, your purchase is protected by a 1-year limited warranty from the Sentry Industries. This smartly engineered gun safe is far durable and robust than many other traditional safes found in the market. Pry-resistant hinges and dual electronic lock incorporated in this safe ensure highest security, which makes it almost impossible for anyone except you to get access to your valuables. The safe also features in-built locking drawer, tray, a key rack and an individual pocket designed on the door. These reasonably separated compartments or sections within the safe are amazing when it comes to keeping your things in an organized manner. There are four live locking steel bolts, each one-inch in size and these bolts are 60% bigger than traditional bolts used in traditional safes. Moreover, you will enjoy dual electronic lock and key for maximum safety of your possessions. The safe is certified to provide an outstanding, one-hour of fire protection and it is water resistant up to eight inches for 24 hours according to ETL standards. The SFW123GDC comes with programmable digital locks which allow you to choose your safety combination easily. As with every SentrySafe product, there is a one-year limited warranty by the manufacturers to make it a fair deal. All of us have several valuable items in our home, including jewelry, cash and other documents that should be stored in some place highly secure and protected. These possessions are under the constant threat of being theft or destroyed in water or fire damage. Thus, you need this amazing waterproof chest by SentrySafe designed to give maximum safety to your items. The safe is constructed from a high-quality material and is sealed flawlessly with foam rubber gaskets to make it waterproof. The metal latch provides a smooth mechanism for safe and easy use. It is sturdy, fireproof and features one of the best locks possible. The design is also very smart and striking, which makes this a bit heavy safe worth buying for your safety needs. The safe has a very thick wall and heavy-duty construction and offers enough space to accommodate your important valuables without much ado. It is also very reasonably priced especially for the brand name it carries. 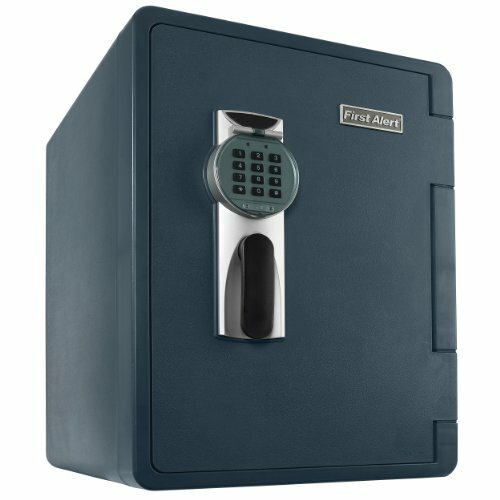 Overall, this is a well-designed, heavy-duty safe with privacy key lock. It features a robust and convenient to carry handle and is UL classified for half-hour fire protection. That way, you can keep your CDs, DVDs, USB drives and other devices in the safe without any concerns because it is also ETL fire proven. Additionally, it is waterproof as well, so there is no chance that even a single drop of water can enter the safe. Plus, it comes with a limited 1 year warranty from SentrySafe. Sentry offers various types of safes designed to encounter various types of risk such as fire, burglary, and flood. SentrySafes are designed to provide enough space for most of your documents and sturdy enough to provide the safety you need for you guns. SentrySafe gun safes are the ideal solution for any home or small business office, as they are designed to provide powerful protection for any home as well as the small business office. It offers powerful protection and peace of mind, as you know that your documents are safe and secure in the event of fire, theft or flood. Advanced safety designs characterize SentrySafe products because they are designed to offer high security against destruction and theft. 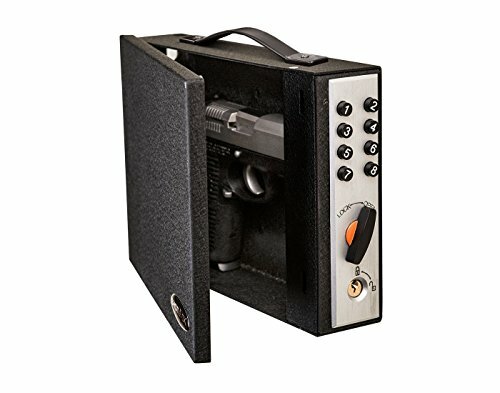 Whether you are looking for to protect your gun, jewelry, computer, paperwork or any other precious item, SentrySafe Gun Safe guarantees that your items are always secured. SentrySafe claims to meet third party test requirements, and with their gun safes, you can rest assured that your safe will stand up to the unpredictable condition of fire and flood. It is designed to protect its contents for up to an hour in the case of flood and fire. The safe is also ETL certified for impact resistance. On top of that, SentrySafe products are water resistance certified, which means that the gun safes are designed to protect valuable documents against the flood or water. With this type of safe, you can rest assured that your guns and other valuable items are safe in the event of a catastrophic fire. They are also fully sealed and watertight, which help to protect your items from water and moisture related damage. Hard and sturdy door, reinforced with four large 1-inch bolts are in every SentrySafe product.There is also a pry-resistant hinge bar. These security features help to secure your belongings against any force entrance, ensuring that your items remain private and secure. SentrySafe Gun Safe products are third-party certified to protect valuable items such as guns and other valuable items. They are UL classified and manufactured to keep your guns protected for up to an hour in case of fire. It provides fire protection up to 1700˚F. The fire-rated products do not only protect papers but are also designed to offer great digital media protection. With SentrySafe, you can be sure that your digital documents such as CDs, USBs, DVDs, flash drives and other portable hard drives are safe from fire. 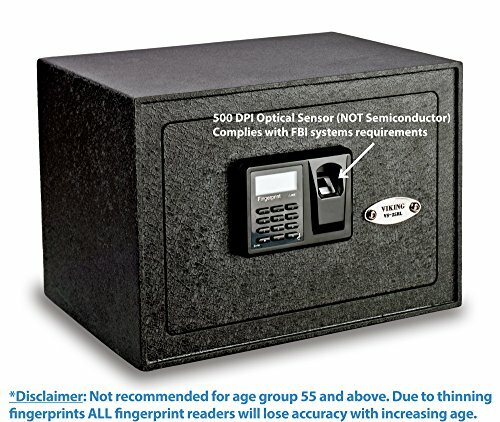 With the demands for data protection, SentrySafe Gun Safe is now optimized for data protection and can be used to protect computer hard drive against water, fire and other forms of destruction. The company stands out among the rest regarding security innovations and includes unsurpassed quality, protection, and high security. The company is popular to produce the safest, strongest and the most durable safes in the market. The safes use three number combination lock for high security. The products are available in the market with one year warranty. It is ETL verified to withstand a 15 ft drop test. Therefore, apart from being able to withstand fire for up to an hour, it is sturdy enough to remain intact after 3rd-floor drop. 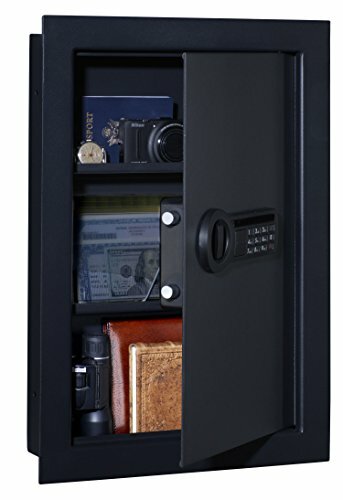 SentrySafe Gun Safe features digital locks that allow you to program your security combinations. It comes with an easy-access battery compartment, which makes it easy to retrieve your documents. Theft and destructive disasters such as flood and fire are some of the most common risks that we face in our daily life. Research show that fire and flood are some of the most claimed home owner’s insurance policy, which mean that our valuable items could be at high risk. 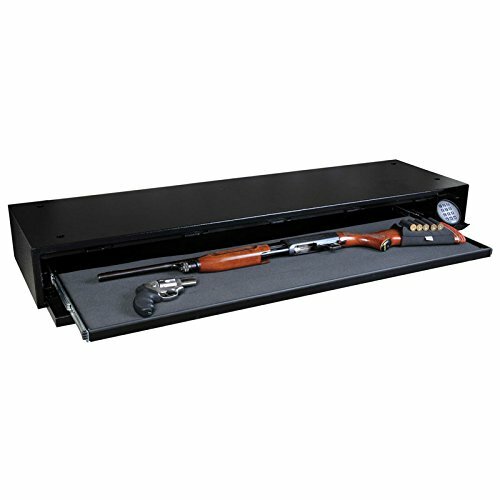 SentrySafe Gun Safe is designed to protect your guns and other valuable items against theft and also various elements of destruction caused by nature. With SentrySafe, your valuables are fully protected. 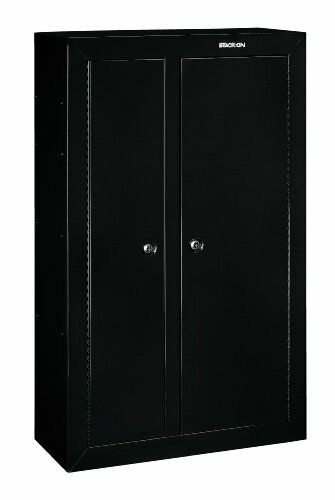 Quality and durable gun safe is worth every penny and should be considered as an investment for the future. 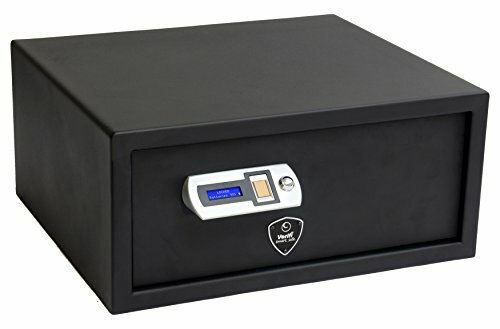 If you decide to invest in a SentrySafe, you can rest assured that it was designed to keep your electronics, guns, valuable documents, jewelry and even digital contents safe.